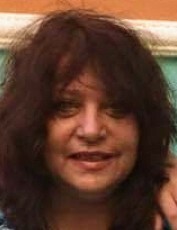 Annmarie E. Devlin, 63, of White Haven Pocono, died Sunday, March 31, 2019, at her home. Born in Philadelphia, she was the daughter of the late Anthony C. and Elizabeth L. (Amodei) Pontarelli. She was a graduate of Cardinal Dougherty High School and Gwynedd Mercy College where she earned her Bachelors Degree. In addition to her parents, She was preceded in death by a brother, Anthony Pontarelli. Annmarie was a member of St. Patrick's Church in White Haven where she volunteered for their local food pantry, as well as, the White Haven Library. She enjoyed spending time with her family, especially her two grandsons. She is survived by her loving husband, William Devlin; daughter, Tiffany Montero and her husband Mike of Pennsburg; two grandsons, Mikey and Marco; brother, Joseph Pontarelli of Honey Brook and numerous brother/sister-in-laws, nieces/nephews, Uncles/Aunts, and cousins. A Mass of Christian Burial will be celebrated at St Philip Neri (1325 Klinerd Rd; Pennsburg) on Saturday, April 6, 2019 at 11:00 am. Visitation will be from 10:00 am until time of Mass. A private Interment will be held in St. Patrick's Cemetery; White Haven at a later date.